Boiler pump, a DG type horizontal single suction multistage vertical pump for conveying clear water and other liquid with similar physical and chemical properties. The boiler pump has a flow of 25-150 m3/ h, with a hydraulic head ranging from 480 to 1100 meters. It can transport high-temperature water under 280 ℃ , suitable for boiler water, factories, and urban water supply. It is suitable for transport clean water below 110 ° C or other non-corrosive liquid of similar physical and chemical properties to water. It is widely used in the industrial and mining enterprises boiler feedwater and city life water supply. DG series pumps are especially suitable for boiler feedwater, it also can be widely used in pressure vessel water supply, hot water circulation, high-rise building water supply, irrigation, fire pressurization, rinse with water and other fields like food, brewing, medicine, chemical industry, aquaculture, environmental protection, etc. 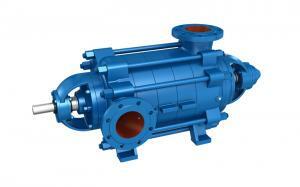 DG series is a horizontal, single suction, multistage centrifugal pump. The inlet and outlet of the pump are vertical upward. The tension bolt connects the suction section, the middle section and the discharge section of the pump into one. The pump rotor consists of an impeller, balancing disk, etc. The entire rotor is supported by sliding bearings at both ends of the pump shaft. The bearings are lubricated with lubricating oil and cooled by circulating cold water. The axial force of the rotor is balanced by a balance plate. A.The concentricity of the parts in fixed parts is ensured by the precision of the parts manufacturing and the quality of assembly. The machining accuracy and surface roughness of the parts shall be guaranteed, which shall not be touched or scratched.Molybdenum disulfide used as a sealant should be clean. Bolts used for fastening shall be uniform. B. The inlet passage of the impeller and the inlet passage of the guide blade are guaranteed by the axial dimensions of each part. The flow path has a direct impact on the performance of the pump, so the pump size can't be adjusted arbitrarily. C. After the boiler water circulating pump is assembled, before packing, turn the pump rotor with the hand to check whether the pump rotation is flexible in the shell, and whether the axial movement meets the requirements. D. After the above inspection meets the requirements, add filler to the shaft seals at both ends of the pump, and pay attention to the relative position of the packing ring in the packing chamber. A. the disassembly shall be carried out in the reverse order, and the manufacturing accuracy of the parts shall not be damaged when disassembling. B. When removing the rod, the middle sections should be cushioned to avoid the bending of the shaft. The water pump system of the modern large boiler is made up of multiple pumps, and two or three starts to the pump, one or two electric to the pump as backup or auxiliary. The configuration of the water pump can be beneficial to the pump host system failure or failure to meet the boiler operation requirements, and start the backup feed pump system to supplement the deficiency so as to avoid the boiler down due to the failure of the pump. The main problems of boiler fault are lubricating oil system, typhoon shelter system, speed adjustment system, overheat of auxiliary motor and insufficient discharge. Based on the scientific analysis and the troubleshooting reasons, the basis of the boiler's fault is eliminated and solved. Only the troubleshooting can avoid the recurrence of the same type failure. Boiler pump is the basis of safe and stable operation of the boiler, with the application of automatic technology in boiler feed water, The liquid level automatic regulating system of the modern boiler has become the key to safe and stable operation. 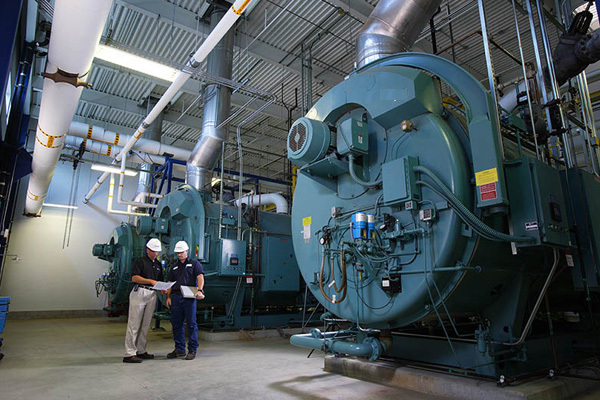 In recent years, boiler shutdown accidents caused by boiler feed water pump failures are common, the reason is that the equipment maintenance department has not been able to grasp the cause of the failure of the boiler. Boiler pump is the key to the safe and stable operation of the boiler system, which is an important part of the automatic control system of the boiler with modern automatic control technology. At present, China has more than 400,000 boiler equipment, most of which are boilers used in industrial enterprises, and a very small part are used in commercial areas such as the residential bath. The steady operation of water pump is the basis of boiler operation, an important part of the modern boiler liquid level regulation system. The failure of the pump will seriously endanger the operation of the boiler, and serious accidents will occur. 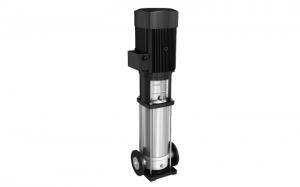 Therefore, the reinforcement of the boiler pump maintenance has become the important work of the modern boiler.